The 2012 Election is just around the corner. 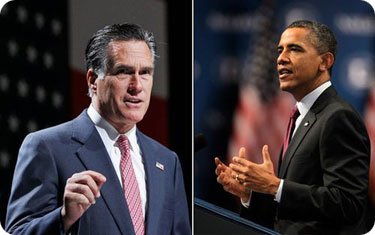 Republicans versus Democrats, Romney versus Obama. A season of hearing many promises, pledges, and reforms, getting the Americans and others excited for hope and change, going forward, and whatever catchy slogan can be thought of. As part of these promises are lofty expectations of balancing the budget, improving the economy, jobs for everyone, and the list can go on. One added item to the list are all the new proposed legislation for Immigration. You may recall that in 2008 Senator Obama’s promise for comprehensive immigration reform within 1 year of his Presidency. Now in 2012 we had President Obama discussing moving the location of adjudication of Extreme Hardship Waiver’s to the United States as opposed to the illegal alien needing to return home for adjudication. Also in 2012 we had President Obama’s Deferred Action plan being announced and introduced. Please note that deferred action is nowhere near Comprehensive Immigration Reform as Deferred Action just gives illegal aliens that were brought to the US as children that meet certain other requirements the right to work. It grants no status and is a temporary right to be here in a sort of immigration limbo for the next 2 years. Congress has also made a lot of promises about Immigration. Just in the past few weeks Congressmen from both party’s are introducing all sorts of bills. I applaud the effort, but just wonder where these ideas have been the last 4 years. Next we have Representative Zoe Longren (Democrat) coming up with the Attracting the Best and Brightest Act of 2012 which is almost identical to Representative Smith’s Bill except the diversity lottery would be kept intact. Representative Longren’s bill would create an EB6 category. EB stands for Employment Based. Currently there are five Employment Based Green Cards such as an EB1 or EB2 for Advance Degree Workers. Less than 60 days to an election and all of a sudden we have 3 new bills. As an Immigration lawyer, my heart wants to applaud these bills as each one would be a step in the right direction. But having been through this before, my brain is saying don’t get too excited until something is passed. Even though these bills don’t make the system anywhere near to being perfect they are positive proposed changes. Sure, the bills don’t address illegal immigration, they don’t really do enough to decrease the green card backlog, and don’t create free markets for employers to hire skilled workers (ie. there is still a very low H1B cap of 65,000). But the bills do at least try their best to retain bright minds that have been educated here in the US so that these individuals can benefit the US economy and society as a whole. I have the privilege of talking to a lot of business people in my role as an Immigration lawyer. When I describe the tedious and over regulated area of business immigration, they are baffled. Most of these individuals believe in free markets and allowing business the opportunity to hire the skilled workers they would like at will. But when I describe that US Company’s are only permitted to hire 65,000 H1B workers each year and 20,000 US Master’s Degree workers each year they are in shock. Their common reply is “why shouldn’t I be able to hire who I see fit to grow my business”? Moreover, when I describe the PERM process (Labor Certification for Employment Based Green Cards) they are absolutely shocked. One friend summarized it as “you mean to tell me that I have to bring someone into my office that I have no intention and hiring, wasting their time, my time, and my company’s resources all for a government experiment (ie. testing that there are no available US workers for the position)? These bills really don’t address the problems addressed above. On the other hand the bills would create permanent residency opportunity’s for PH.D’s. We have the opportunity to work with a lot of PH.D students and graduates in their immigration problems. Many that want to go to the private sector for employment are faced with the same immigration problems as others with Bachelor’s Degrees and Master’s Degrees. Mainly, “will I receive a job offer at the right time so that I can utilize one of the 85,000 available h1b’s” (65,000 regular cap and 20,000 US Master’s Cap)? The other main issue would is the backlog for EB2 and EB3 Green Cards. As of the October 1 visa bulletin, if a Master’s Degree or Ph.D student is from India and meet the requirements of an EB2 Green Card for persons with Advanced Degrees, they will have a 8 year wait time. Just think, eight years ago was 2004, have your employment circumstances changed since 2004? I know mine have and so have most of my friends and relatives. But the US Immigration System currently expects persons from India that have a job offer that is intended to be indefinitely and meet the other Green card requirements to wait 8 years for the opportunity to apply for a green card via adjustment of status. That’s a very tall order and clearly discourages retention of top minds that the US needs to attract. The 3 bills mentioned above would each help to alleviate this problem. The extent is unknown because we don’t have the details of each bill, but surely the wait time for an EB2 or an EB3 should be less than 8 years. In summary, its great to see these proposed bills but keep in mind, its an election year and until we see a bill made into law, don’t get your hopes up. The purpose of this article is to show that the Immigration policy has become illogical and political. Case in point is Senator Obama’s promise of reforming the Immigration system his first year in office and then a few months before the election making minor unsubstantial changes. And Republican and Democrat’s within Congress all of a sudden coming up with these Immigration bills to help retain STEM foreign talent within the US so that it would help the economy. From an Immigration Lawyer’s perspective, a business person’s perspective, and a person considering relocating to the US, its a frustrating system.